Leftists have turned Hollywood into their ideological sandbox. What used to be an industry with many prominent conservatives has morphed into a left-wing echo chamber with most conservatives being forced to silence themselves for fear of career ruination. But one conservative filmmaker is fighting back against the leftist propaganda with a new documentary that has liberals furious. It’s been an open secret for years that Hollywood is not only unabashedly left-wing, it discriminates against people on the other side of the aisle. Conservative author and commentator Ben Shapiro uncovered the boldness of the blacklisting by getting top-level executives to go on the record with their discriminatory practices. One would think leftists would be embarrassed by such admissions, but they weren’t. They simply ignored Shapiro’s book and returned to business as usual. However, in the age of alternative media, it’s becoming harder and harder for Hollywood to ignore differing viewpoints. Such is the case with conservative author and documentarian Dinesh D’Souza. Since serving in the Reagan administration, D’Souza has been a mainstay in conservative politics. He’s published several books, and directed three films that are in the top 10 of highest-grossing political documentaries; his 2012 film “Obama’s America” is number two on the list. D’Souza’s latest film, “Death of a Nation,” delves into the left’s insidious plans to subvert America at different stages of the republic. As is the case with D’Souza’s other films, “Death of a Nation” was rebuked in the harshest of terms, or flat-out ignored. D’Souza put it best when he said the paid critics who are attacking him have degrees in graphic design, and lack the historical knowledge to refute any of his points, so they simply resort to personal attacks. Long-time movie critic Owen Gleiberman, a dedicated liberal, wrote a tome in Variety that savaged D’Souza’s film without addressing any of his arguments. One of the points that D’Souza raises in the movie is that fascism is a phenomenon of the political left. Hitler and Mussolini have been put on the ideological right because the communists were to their left and the right-wing concept of limited government only exists in the American context. But European fascism has far more in common with the American left than it does with the American right. The American founders feared government tyranny, both in the past and in the present. Running concurrent to the American founding was the French Revolution, which was a bloody ordeal that led to mob rule and a spate of beheadings. American progressives — whose “newfangled” ideas all come 1848 via Karl Marx — don’t believe in limited government and personal freedom. They believe social justice is paramount, which means all rights and freedoms can be bulldozed so long as it’s for a moral cause. But only they get to decide what’s moral. This is one of the few contradictions D’Souza points out in the film and backs up with incontrovertible evidence. Despite the bad-faith reviews, “Death of a Nation” got off to a solid start for a political documentary, opening with $2.3 million on barely over 1,000 screens. The film’s opening box office is on par with D’Souza’s other three films that cracked the top 10 for political documentaries. 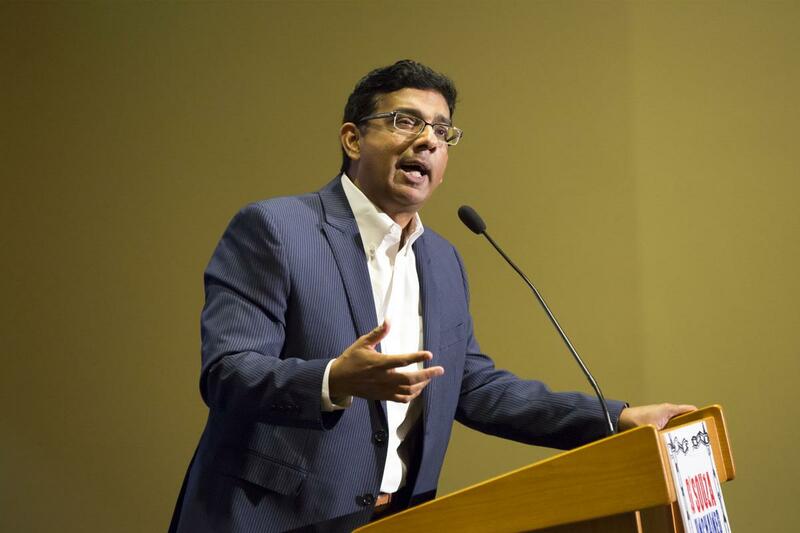 Thanks to the work of D’Souza and other conservatives on alternative platforms, more and more Americans are being educated on the deceit of the Democratic Party.